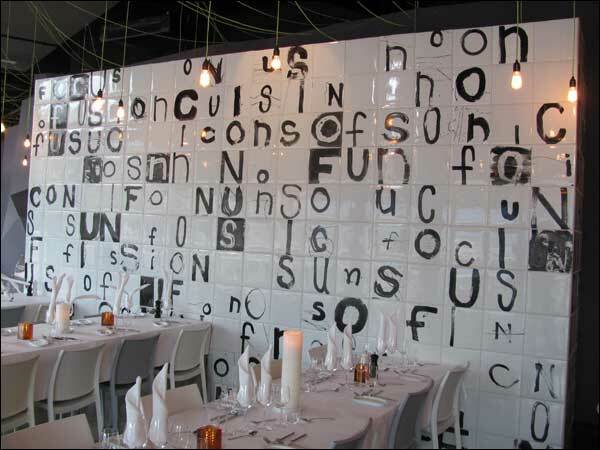 Magne designed several of the permanent decorative elements in the BØLGEN & MOI restaurant in Tjuvholmen, including a white tile wall covered with black painted letters from the word ‘confusion’ in various configurations. 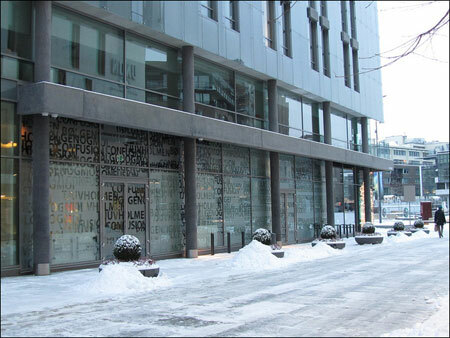 He also created the designs on the glass windows of the restaurant. There was a long piece on Magne called ‘Multi-Magne’ in Dagbladet about this work and the many projects that Magne is involved with. There is a full English translation by Heidi available on West of the Moon. 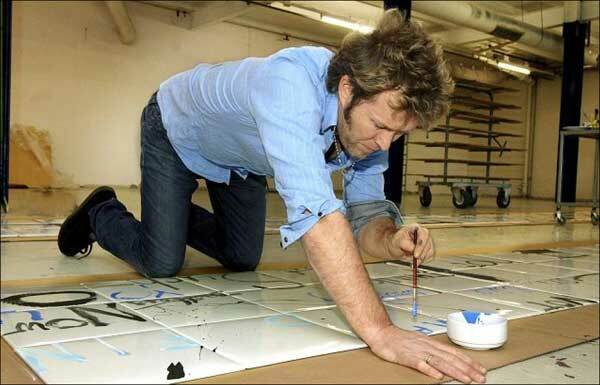 Magne Furuholmen rather takes refuge in new working situations than resting. – I recharge by transitioning from one universe to another. I get really frustrated by getting stuck in the same place and I am averagely inpatient about myself as well as about other people. Whenever I’m too settled I get disillusioned. That’s when I have to demolish the sand castle that I built and start all over again. – Is there any end to your productivity? 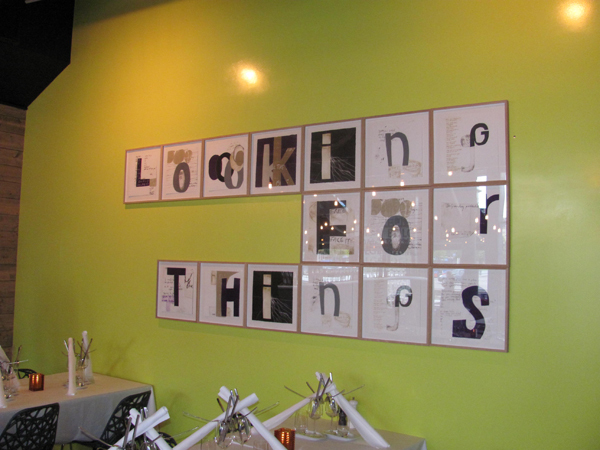 – No, not really. There’s so much stuff I want to do, and I haven’t even started yet. There was an article published prior to the opening of the restaurant about the difficult economic times, and the optimism of the owners despite this here: ‘Verdens dårligste timing’.